In this post, I have written everything you need to know about the Npower posting list 2018. Did you just search for Npower posting letter, Npower list pdf, and so on? You are in the right place. Do you wish to check your name in the Npower shortlist to see if you were recruited? Kindly follow this post to the end and you will learn all what you need to know. 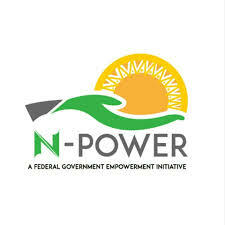 Are you informed that the Npower registration for 2018/2019 is out? It is very easy to do so. Kindly follow the guide which I have written below to easily check this listing. What you need to do first is visit the Npower portal which is npvn.npower.gov.ng/login. On this page, you will be required to provide your mobile number or e-mail address which you used earlier for the registration. Please note that if you insert any other number or mailing address apart from the one with which you registered, the portal won't be able to display your name. The final step is to click the submit button which is below the form in which you inserted any of the above mentioned. Please note that the listing contains all the names of candidates in every sector of the empowerment program for example, Npower tech, Npower agro, Npower health etc. This is the official Npower website which you can visit to check your details and status with their programs. As for those that are planning to register for the 2018/2019 recruitment, make sure you submit valid details and try as much as you can to avoid mistake in spellings, omitting of letters, and so on so as to increase your chances of being shortlisted. As for those that were not fortunate to find their names, there are so many other opportunities out there which you can try and most of them are even better than the 2 year contract which this national youth empowerment program gives you. For your information, this blog is based on giving Nigerians updates on some of the latest jobs opportunities & recruitment news. Do you wish to receive these notifications regularly to your mobile device or desktop for free? Kindly allow push notification for this website. In-case you are wondering how to do it, simply refresh this page and a black pop-up shows up asking you if you wish to subscribe for this websites updates. Just click on "yes" or "Allow" and you are good to go.